New! 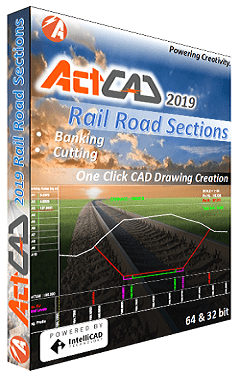 ActCAD 2019 Rail Road Sections is a new product for accurately drawing rail road sections, including automation for banking and cutting by taking coordinates from auto-levels in spreadsheet format. Precise points are drawn in the CAD drawing with one click. ActCAD 2019 Rail Road Sections is based on IntelliCAD and is produced by ITC member ActCAD. For more product details, including videos and step-by-step intros, see the ActCAD website. At the ITC it's not just the co-op business model or the access to IntelliCAD source code that makes the organization open, it also runs through company culture. Systems. In-house systems are open for member taking. Scale your own in-house systems by re-implementing the ones used by the ITC: installer, crash reporting, build management, product quality, localization, documentation. Hierarchy. The hierarchical structure at the ITC is relatively flat, and even if someone has "Lead" or "Manager" or even "President" behind their name, they are accessible to discussions ranging from new ideas to knowledge sharing to coffee. Focus. The ITC team focuses on the technical details of CAD technology, but just as important is their focus on member needs. Need a feature implemented? Need a focus on a whole new area of development? Let them know to get the discussions started. Collaboration. ITC developers collaborate with ITC members on features and fixes, and members even donate their own features back to core IntelliCAD. The open atmosphere also extends to members collaborating with each other, and in some cases even new member products. Some members are competitors, and yes, they collaborate too. With all of this openness, direct communication is a necessity. It's only then that the openness can thrive, promoting clear objectives that work for a collective — not just one company. Two decades of IntelliCAD has built a solid foundation for blending CAD with new technology that wasn't around twenty years ago. Like smartphones. .dwg: Open or view as external reference; includes architecture, civil, and mechanical objects. .dwf: Open or view as external reference. .pdf: View as external reference. .png, .jpeg, .tiff, and more: Open or view as external reference. .dgn: Coming soon for open and external references. 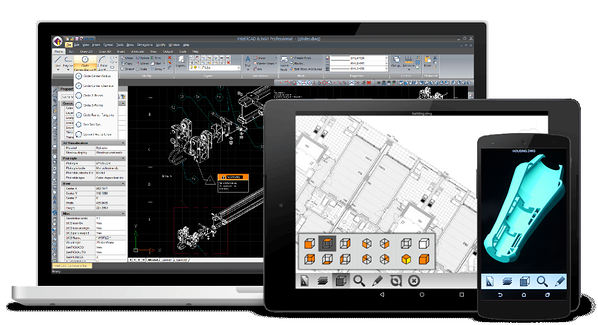 IntelliCAD Mobile, like IntelliCAD desktop versions, is built with libraries from the ODA. IntelliCAD continues to be intertwined with ODA technology after twenty years of growth by both organizations. And partnerships are what the ITC is all about. We'll be posting soon about ITC members and their technologies presented at the conference. Impressive technology. Impressive partners. IntelliCAD 9 was released earlier this summer — twenty years after the initial version of IntelliCAD was released in 1998 by Visio Corp. The .dwg file format continues to be heavily used after 20 years. 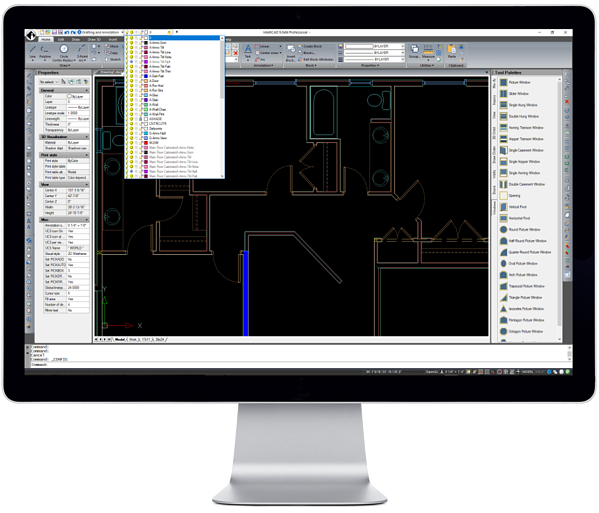 IntelliCAD 9 includes support for the most recent 2018 .dwg version. The .dgn file format also continues to be heavily used. After focusing for nearly twenty years on .dwg file support and editing, IntelliCAD 9 also supports opening, editing, and saving .dgn files in their native format. BIM! Work with rvt.rfa files and .ifc files. 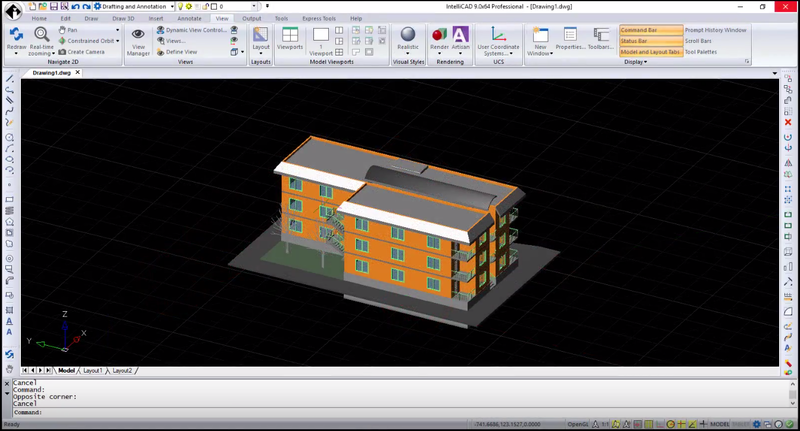 Attach a new format for point clouds: .rcp/.rcs. Draw and modify 3D meshes using the new Facet Modeler for lightweight 3D drawings. Use a camera to view drawings. Use new express tools for blocks, external references, text, and editing. Reset dimension text and reassociate dimension text. Who would have guessed that IntelliCAD — first released as an Autodesk® AutoCAD® clone twenty years ago by Visio Corp. — would some day support .dgn editing? Probably no one. At IntelliCAD World 2018 in Prague this week we got an update on the ITC's DGN initiative. 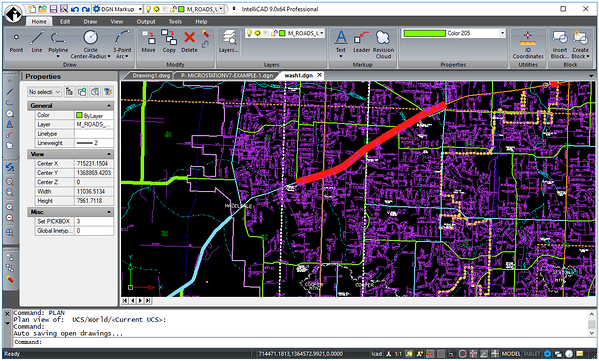 The goal is to open and edit .dwg and .dgn files using one application: IntelliCAD. A choice in .dgn editors is exactly in line with IntelliCAD's roots as a choice in .dwg editors. Not only that, but soon users will be able to use one application and choose their file format according to their needs. More choice. Draw and edit .dgn entities. Select .dgn entities and use grips and snaps. Assign layers, colors and properties to .dgn entities. 02/1998 — Visio Corp. forms a non-profit cooperative, OpenDWG Alliance (aka ODA, Open Design Alliance). Visio provides a perpetual license for AUTODIRECT libraries/source to the ODA. 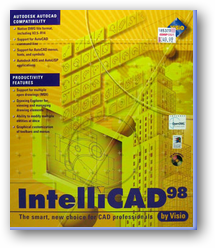 03/1998 — Visio Corp. releases IntelliCAD 98. 12/1998 — Visio Corp. announces licensing IntelliCAD as a solutions development platform. 07/1999 — Visio Corp. announces creation of a CAD platform cooperative, IntelliCAD Technology Consortium (ITC). The established bylaws were similar to those established for ODA. 09/1999 — Microsoft Corp. acquires Visio. That's how IntelliCAD came to the ITC. Just like IntelliCAD, the ITC was established to provide alternative, open access to .dwg data and design. 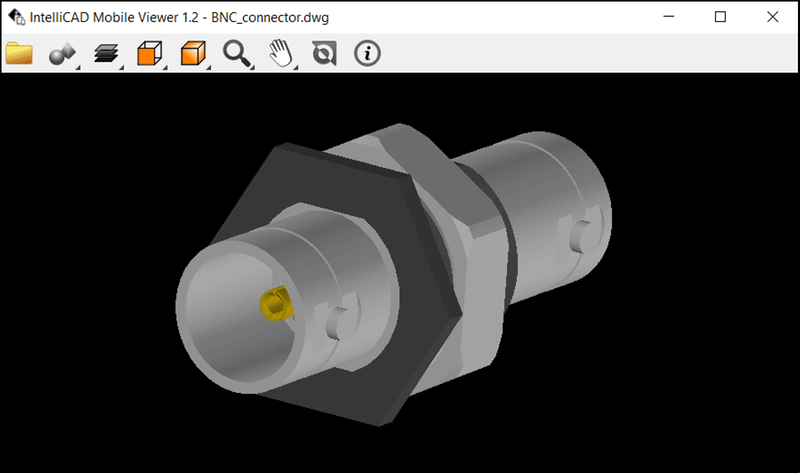 The ITC continues to promote open access to .dwg and provide its co-op members with the technology they need — including source code — to deliver products and custom CAD technologies in the marketplace based on IntelliCAD.